Melissa Macomber was heartbroken when she found out that her rescue dog, Sanger Marie, had heart failure. 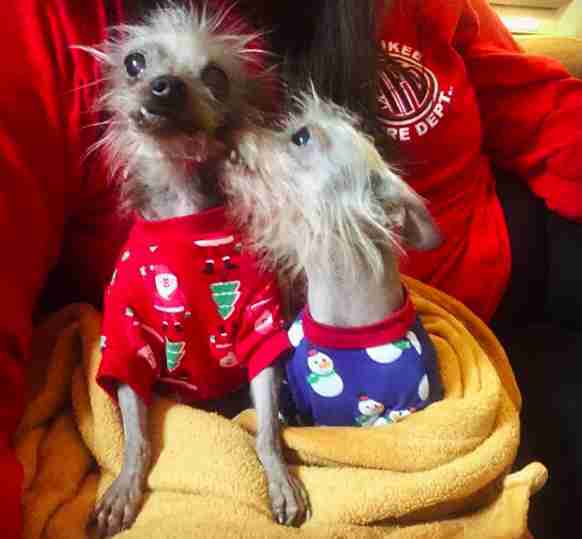 And she immediately knew she wanted to adopt another dog right away — to be a friend to Sanger during her final months, but also to help comfort Macomber when Sanger finally passed. 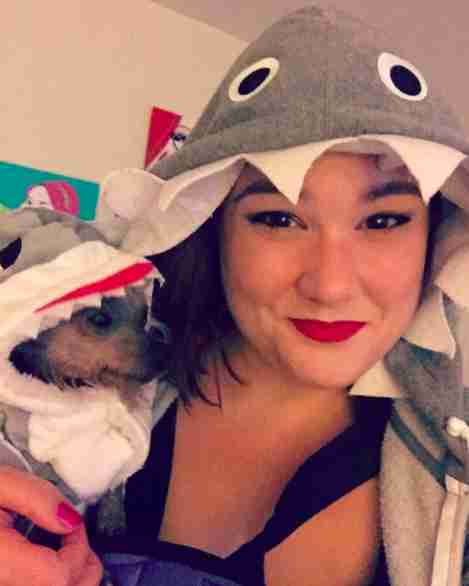 She began browsing different rescues online, when she came across a dog named Hemingway — and his best friend, Hadley. 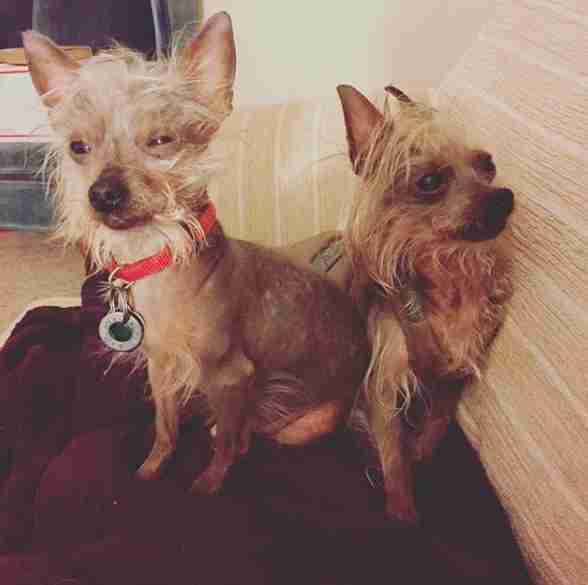 Hemingway and Hadley grew up in a puppy mill together, and were best friends their whole lives. They shared a cramped cage together until Bare Paws Rescue finally freed them from their tiny prison. 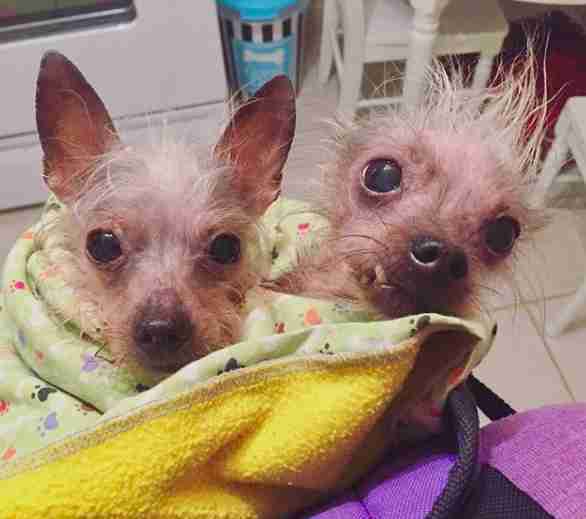 They desperately wanted to find a home together, as they’d been each other’s comfort buddies their whole lives, and Macomber was immediately touched by how much the pair had been through, and how much they loved each other. “I was really only looking to adopt one dog, but when I saw their little faces on Petfinder and read that they grew up together, I wasn't going to separate them,” Macomber said. Hemingway and Hadley settled into their new home immediately, and loved and cuddled with their sister Sanger until the day she passed away. It was so hard losing her, but Hemmy and Hadley helped their mom through her grief, and gave her something adorable and wonderful to focus on. Hemmy and Hadley went through a lot during their first five years of life, and because of where they came from they have a handful of anxieties and quirks. They refuse to eat unless their mom is in the room with them, and they hate when anyone tries to leave the house without them. 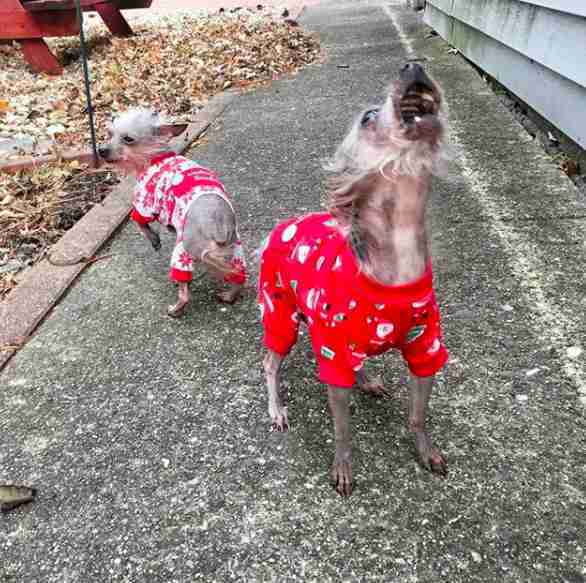 They love their new home so much, but some things still make them anxious — so their mom started dressing them in pajamas. 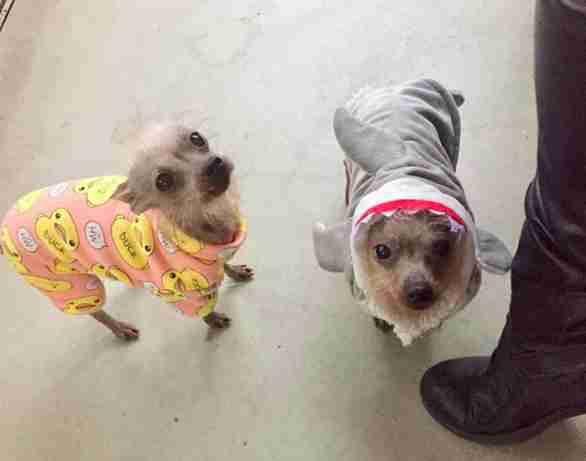 … and dressed in the various outfits that their mom buys them, they’re the absolute cutest dogs around. 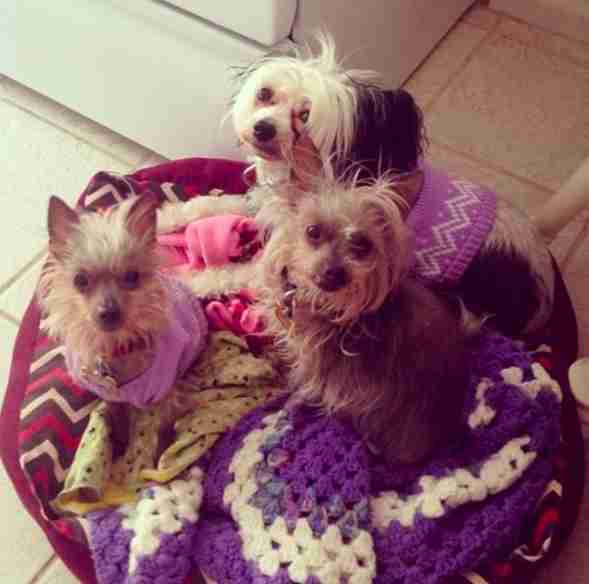 Macomber even has some outfits of her own that match Hemmy and Hadley’s, making them the sweetest little family ever. 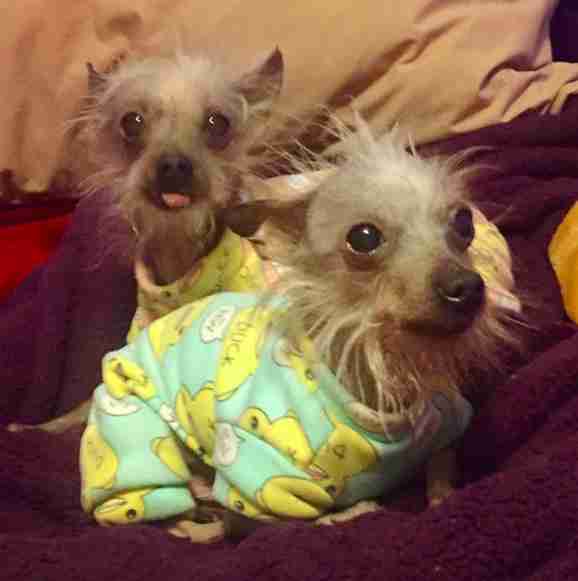 Hemmy and Hadley didn’t have the easiest first few years of life, but now they have the best mom, and get to spend their days cuddling with her while wearing the cutest, snuggliest pajamas. You can follow Hemingway and Hadley on their Instagram account.